A unique setting is an opportunity to make a good impression. All you need is a simple idea to turn a talk, meeting or presentation into a memorable experience. The ideal setting for an intimate wedding: EL SUEÑO (THE DREAM), a terrace with spectacular views of the harbour and a capacity for up to 80 people. Or enjoy your unique moment at LE NINE, our lounge bar that can be transformed into a private lounge for 50 people for cocktails or 30 for dinners. We take care of all the details of our events, offering you all the additional services you need to make everything a success: floral and decorative arrangements, candybar, babysitting, live music and everything else to make your experience with us unforgettable. Teambuilding, Kickoffs, Briefings, etc. When you need the full attention of your audience, make them feel comfortable… and you will achieve your goal. 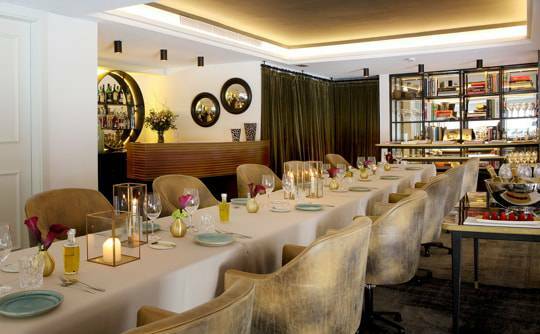 When you need to launch a project or make a presentation in a comfortable and exclusive setting with an excellent service, the best option is to book your event in a place that offers all the guarantees for it to be a success. 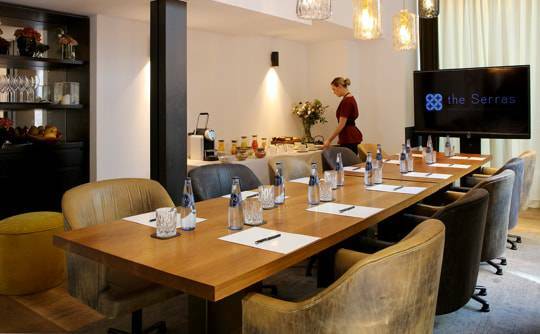 A product launch at LE NINE, a corporate event in a spectacular location like EL SUEÑO or an intimate meeting in our cosy meeting room for 14 people. We are as versatile as your ideas.